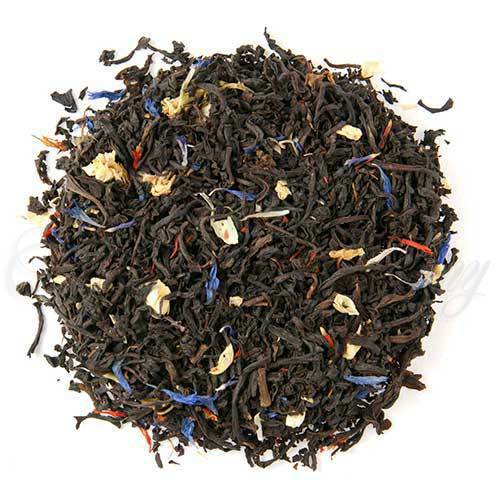 Hints of maple and strawberry combined with flavory Ceylon and malty Assam gives a round full cup. Cup Characteristics: Hints of maple and strawberry combined with flavory Ceylon and malty Assam gives a round full cup. Luxury Ingredients: Black tea, Cornflower & Jasmine & Safflower petals, and Natural flavors. During colonial times, tea was an important part of local culture as Dutch and English immigrants brought their taste for tea to America. Tea quickly became a colonial staple and was not confined to the affluent at their tea parties. Tea in fact was considered a healthy beverage and a sign of good manners and expected hospitality. Tea became the third ranked import among American colonists after textiles and manufactured goods. Tea played an important role in the trade links between England and the new colonies but by the latter half of the 1700’s England found itself strapped for cash due to the heavy financial burdens of fighting wars and maintaining its global colonial Empire. England resorted to taxing tea on its far-flung empire as a means of raising capital.